Nextbit said its planned system update for the Robin smartphone will begin going out over the air today. The update pushes the operating system to Android 6.0.1 Marshmallow and includes the April security update, and tweaks to the camera, processor, and sound drivers. Nextbit says the processor refinements should lead to better battery life, while the camera is now much faster, and the stereo speakers provide clearer sound. Nextbit says partnered with AIAIAI to create a custom set of TMA-2 headphones to go with the Robin. The new audio adjustments for the Robin apply to the phone's headset jack as well, and the TMA-2s are able to take advantage of those adjustments for better bass and treble response. The headphones are colored to match the Robin smartphone. They cost $225. 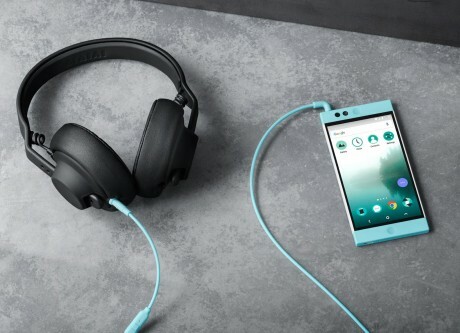 Beyond the headphones, AIAIAI and Nextbit worked together to create several exclusive ringtones for the Robin. They reached out to select musical artists and asked them to "make tones that soothe the otherwise occasionally disturbing world of smartphone notifications." The initial musical artists and DJs tapped by Nextbit include Griffage and Lauren Lo Sung. Nextbit plans to add more curated ringtones to its community site over time. Last, the Robin smartphone is now available online from Amazon.com. Nextbit announced the Robin last year, but the company is using CES 2016 to re-introduce the phone just ahead of its launch. This phone focuses on optimizing on-board storage using the cloud. Nextbit hopes the Robin will convince people to jump into the cloud feet first. This Android smartphone prioritizes which apps and files get to stay on the phone, and which are relegated to Nextbit's servers. Nextbit this week warned owners of its Robin smartphone that it plans to shut down its Cloud Storage service on March 1. The company revealed the news in an email to customers. Amazon is kicking off sales of the Nexbit Robin with a limited price. Anyone who buys the phone from Amazon between May 4 and May 10 will pay $299, rather than $399. Nextbit today said it plans to make a CDMA version of its Robin smartphone available via Kickstarter beginning Sept. 18.